Have you ever had to fundraise for a playground? It’s long, hard work to raise thousands of dollars penny by penny. We sell Purdy’s chocolates, wrapping paper, raffle tickets, entertainment books… hours on hours are spent soliciting companies and parents for donations. 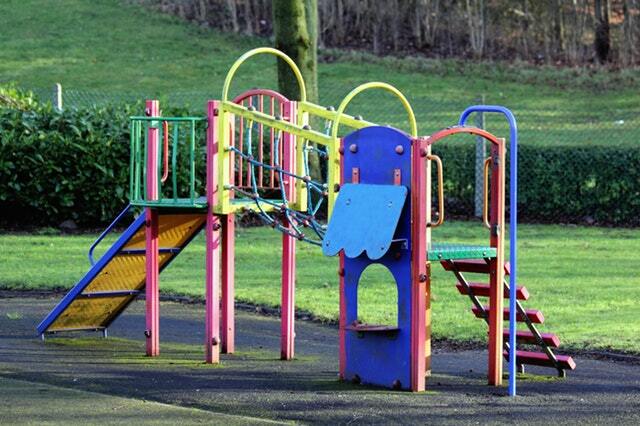 Schools need new playgrounds for a variety of reasons – some playgrounds have run through their life cycle and become unsafe, and some like in our case are just too small for the sheer volume of children that are there to play on them. Our school was built for a capacity of 450 children and currently has 730. The play structure doesn’t allow for linear play, so children line up to take their 8 second turn on the monkey bars… fall off – back to the end of the line! It isn’t ideal for keeping children active and creative. Our parent group has worked with the school district to come up with a properly approved playground with a reasonable cost that can be installed in the existing space – we don’t want to eliminate any of our current play spaces like green fields or the basketball court. These are important to our children too. Playground manufacturers are familiar with the problems we face and they have lots of designs that run as a circuit so that children won’t “bunch” up in certain areas and will be conducive to more play for all. In order to fundraise, we try to offer something that our families are all interested in anyway, we have sold coupon books, raffle tickets, chocolates and wrapping paper for the holidays. And we’ve raised alot! But it takes a lot of volunteer work, time and effort. One of the benefits of this growing neighbourhood is new businesses in our community – with new ideas! The BMO has opened a branch in our neighbourhood and the branch manager was looking for a way to give back to the community. We came up with this great plan that’s a win-win: for every child/youth account opened at the branch, the account holder will get $25 and BMO will donate $25 to our playround! It works for us all, as it introduces the community to the bank, and allows them to contribute to the community in such a meaningful way as so many children in our neighbourhood either attend the school or at least play on the playground! Learn more about the offer here to get your $25 and tune in on Thursday morning at 8:40 to hear about how it all worked out!